Click here to make an annual gift now! The College Fund for Arts and Sciences was created to give our donors an opportunity to “Invest in excellence, today.” Gifts to the College Fund are used to support strategic, short-term priorities. Recruit, retain, and reward world-class faculty. Over the last five years, we’ve given awards of nearly $100,000 to outstanding faculty in psychology, political science, geography, ecology and evolutionary biology, math, philosophy, cinema studies, and French to reward and support excellent teaching and research. Support student scholarships. We award up to $50,000 in student scholarships each year. Provide state-of-the art facilities. Over the past few years, we have increased and improved our classrooms and labs. 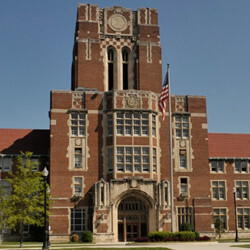 Memorialize your dedication to UT by leaving a legacy that supports facilities for future generations of students. Increase educational opportunities for our students. Several study abroad programs across multiple disciplines expose our students to different cultures and experiences, which help ready them for careers with a global reach. As donor support of the College Fund grows, additional short-term priorities can be addressed. Having the capacity to invest strategically places the college at a distinct advantage in encouraging and promoting the excellence of our students, faculty, and staff across our departments and programs. Click here for a list of all giving opportunities in the college. For more information, contact Myisha Garnes, assistant director of development, at mgarnes@utfi.org or 865-974-8779.